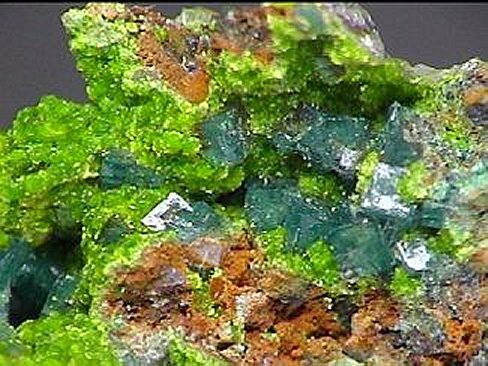 Comments: Altered rhyolite vug lined with brilliant apple green arthurite and cubic green crystals of pharmacosiderite. Location: Majuba Hill Mine, Pershing County, Nevada. USA. Scale: 2.7 x 1.7 cm.